This horse was just sold! Check back for more like it or request a custom order. 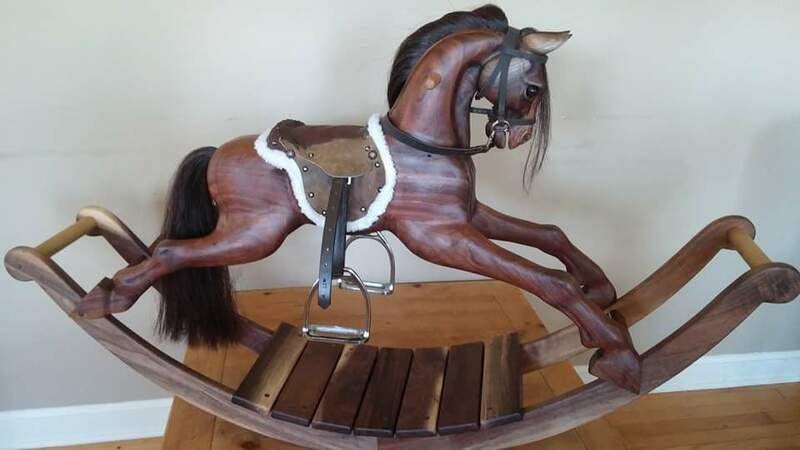 The Classic rocking horse is the second largest horse. 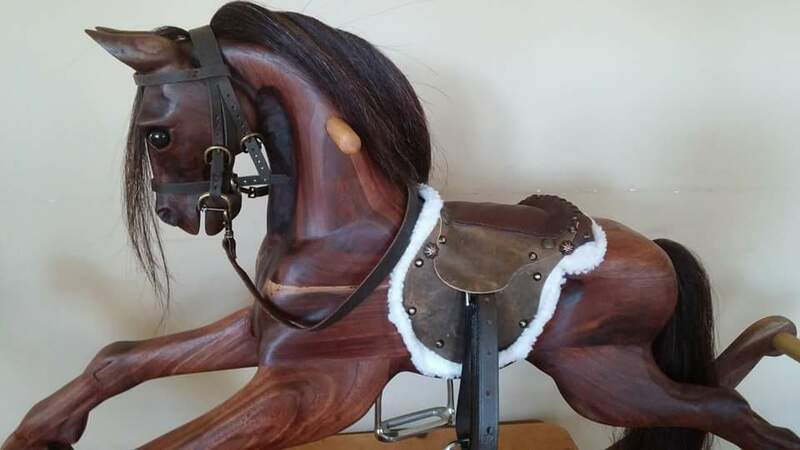 It is designed after a classic rocking horse image, legs stretched and neck arched in an elegant pose. The carving is a highly detailed and realistic style. 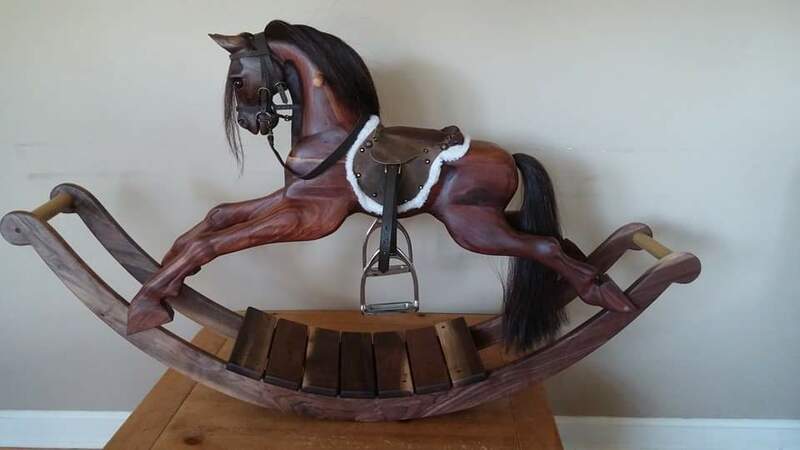 This horse is carved from reclaimed walnut. 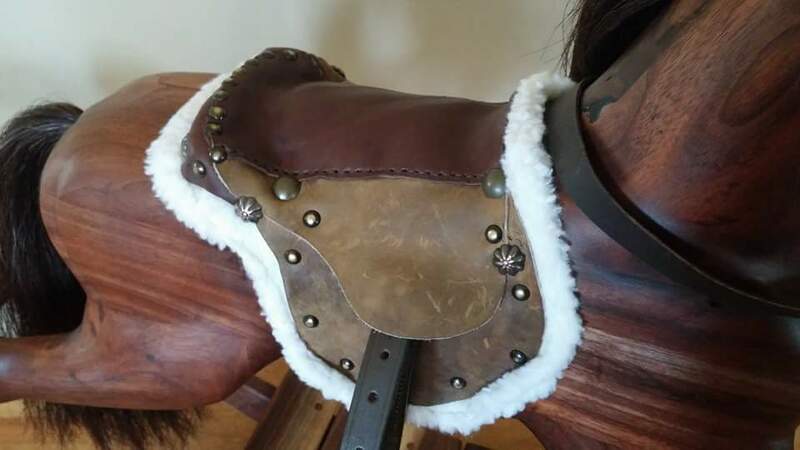 This is the first horse I have also included a hand stitched leather saddle and bridle, including real stirrups. 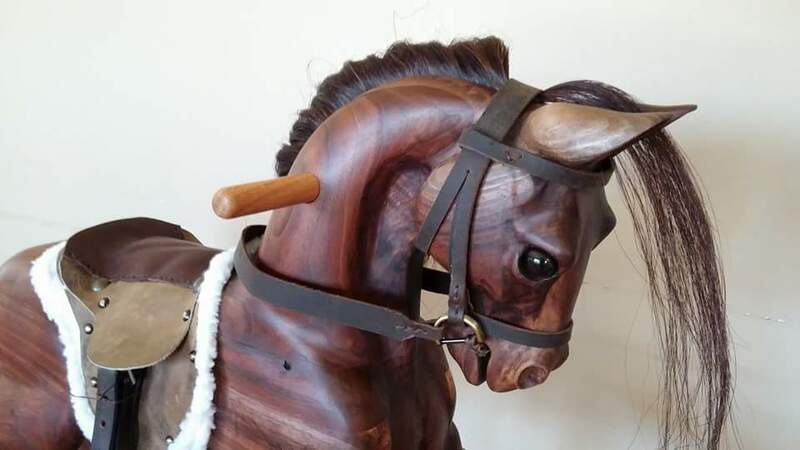 This will require more adult supervision, but adds an elegant touch to the walnut horse. The saddle is permanently attached for safety. 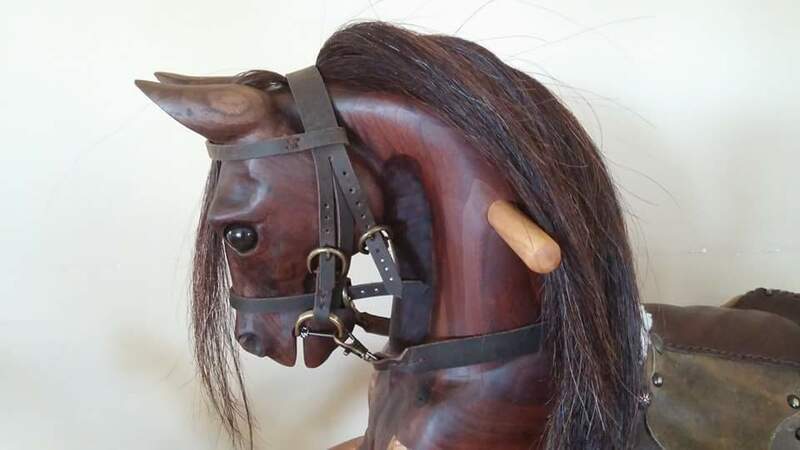 The bridle is fully removable and includes a chain bit. Not for children under 4 yrs. The real horse hair mane and tail and a glass eye add to the realistic look of this fabulous horse! Ages recommended: 4-8. Supervision recommended when playing with the horse.